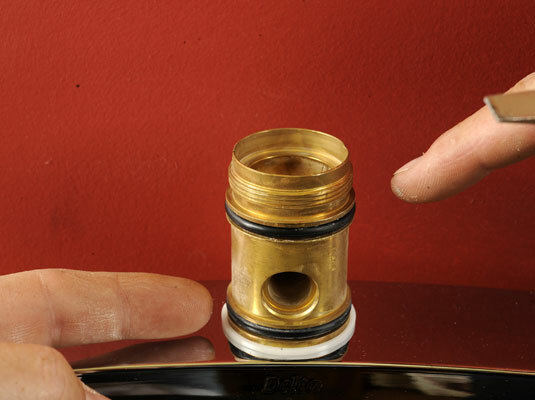 Gather your materials, turn off the water, and empty the pipes. 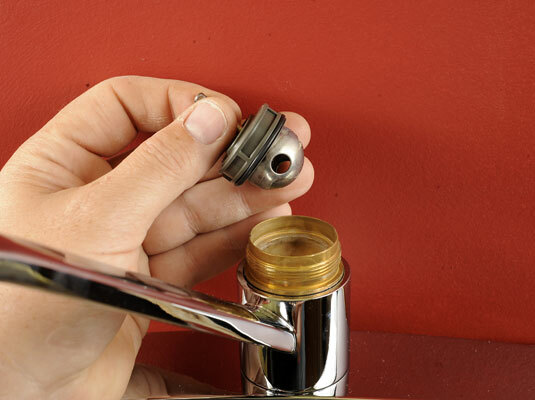 You’ll need a hex wrench, screwdriver, silicone grease, and utility knife as well as a repair kit for your brand of faucet (which includes O-rings, seats, and springs) and a replacement faucet ball, if needed. Shut off the water under the sink, and let the faucet run until water stops. 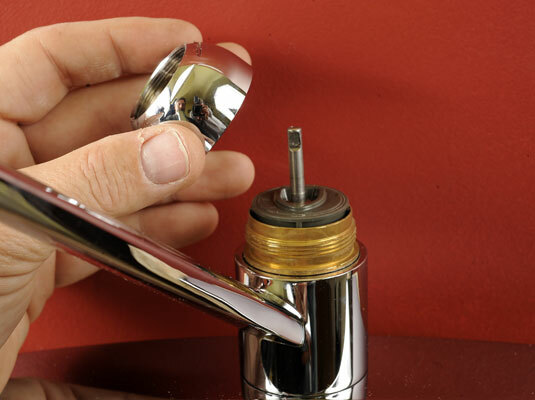 Loosen the setscrew in the faucet handle. Use a hex wrench to loosen the setscrew. Remove the handle and unscrew the cap. 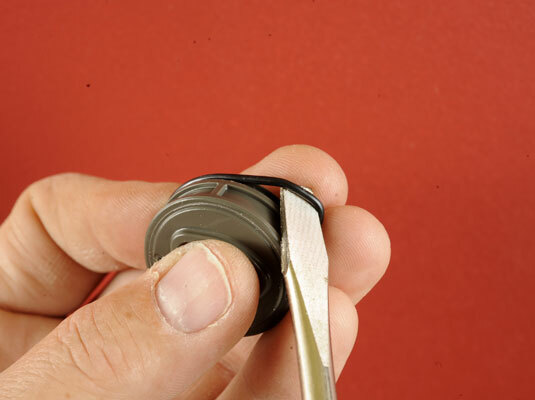 Use a rag or a pair of cushioned pliers to unscrew the cap. Remove the cam assembly from the faucet. The plastic cam and cam washer are usually one piece. Remove and inspect the ball. Lift out the ball. Inspect each part for damage. Replace with parts from the kit as needed. Insert the tip of a screwdriver into the rubber seat and pull it out. It may take a couple of tries to remove each seat in the faucet body, so be patient. 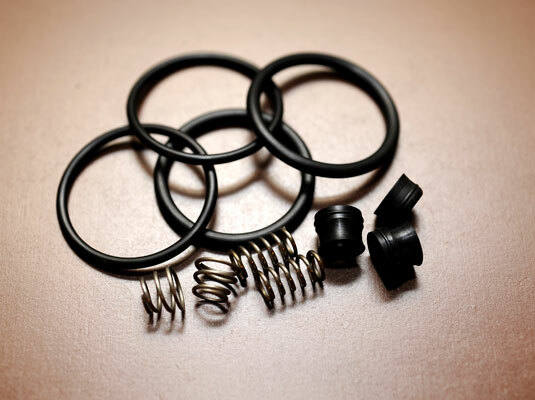 Use the same method to remove each spring. 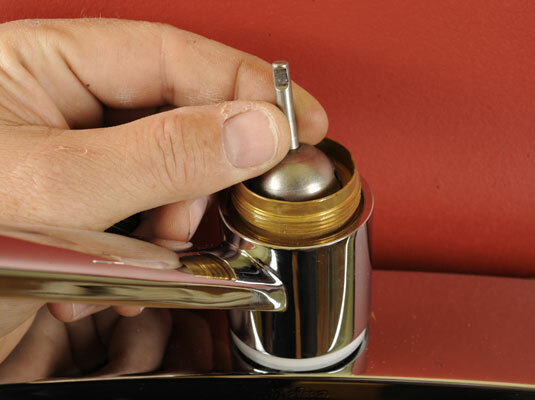 You may need to twist the springs slightly to break them loose from the faucet body. 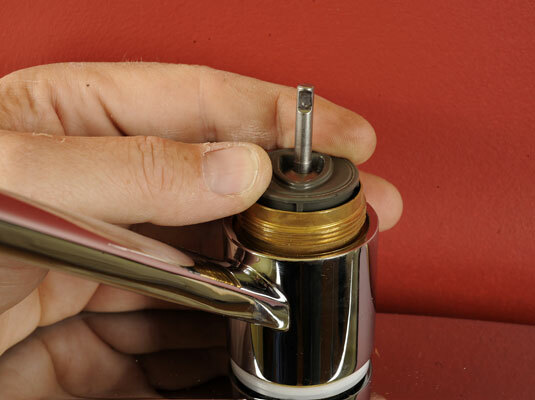 Remove the spout assembly to access the O-rings. 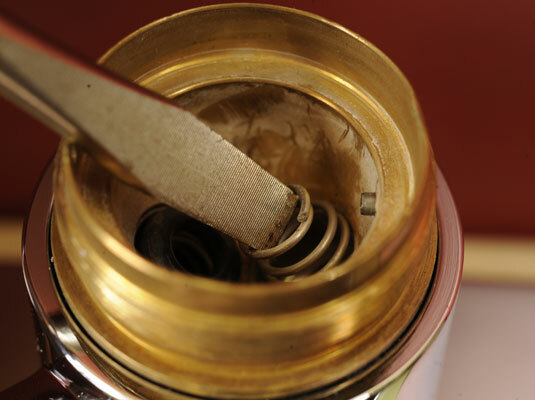 Simply lift off the spout and pry off the old O-rings. Cut them off with a utility knife if necessary. 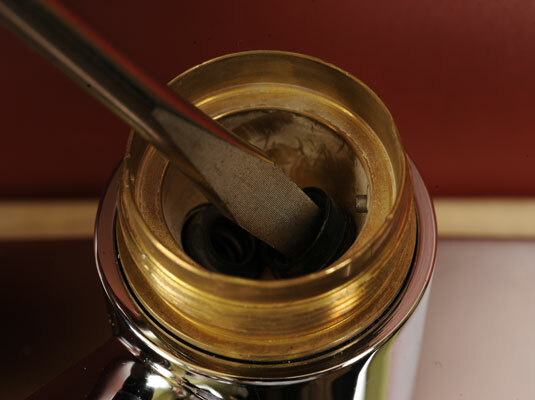 Grease the faucet and install new O-rings. 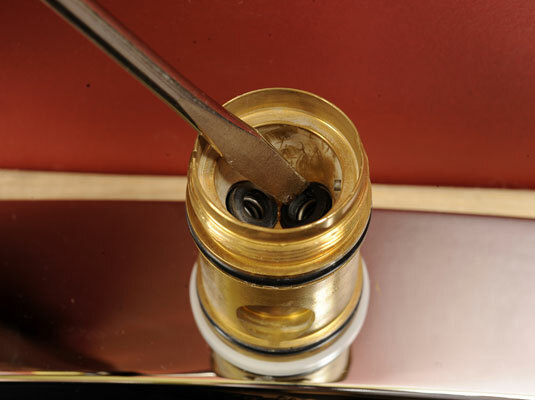 Coat the faucet body lightly with silicone grease, and install new O-rings. Install the new springs and seats by pressing them in place with your fingers. Be sure to insert the springs before the seats. Insert the ball so that it sits snugly. The small tab on the ball should fit into the notch in the faucet body or the faucet won’t work. Screw on the cam and cap and reinstall the handle. 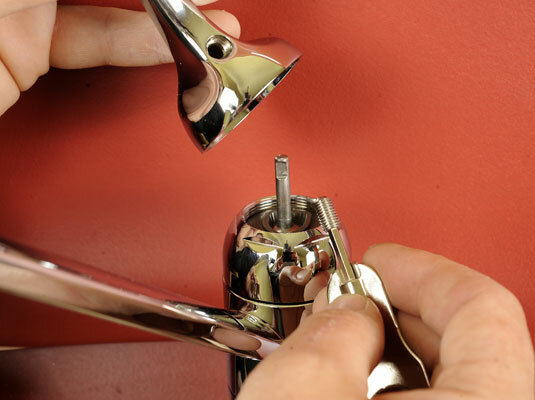 Tighten the setscrew in the handle with a hex wrench. 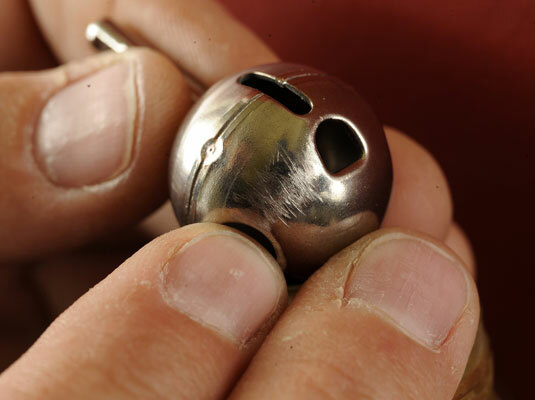 If your faucet has a plastic ball, replace it with a metal one. Plastic types can wear out in less than a year, which means that you’ll be doing this repair again before you know it.